Wait a second, I thought email was dead? Well, check your inbox again and you’ll likely see otherwise. The truth is, around 72% of consumers prefer email as their source of business communication. However, we’ve come a long way from the days of dialing into AOL and hearing “You’ve Got Mail!”. Businesses continue to prove a massive ROI through the inbox, but the landscape is anything but static. In fact, we can expect a lot to change for email marketing in 2018. Here are a few things to watch out for. The last thing you need is an influx of messages you don’t open, or wouldn’t even consider opening. It’s for this reason that there is software to keep your inbox clean so you can focus on the messages you actually care to receive. Just as we saw in 2017, making sure your recipients have opted-in to receiving your emails in 2018 will be extremely important. Not only does this make sure you’re CAN SPAM compliant, but you don’t want to tarnish your reputation by sending to thousands of people who haven’t asked to hear from you. The best way to ensure you’re sending to people who have asked to hear from you is to implement an inbound email marketing strategy. Instead of pushing your message out to the masses, you pull your audience in with valuable content on your site and get them to ask for more. This will make sure you’re sending emails your audience is looking forward to receiving, but there’s a much higher chance of getting your domain whitelisted. This means you’ll go into the standard inbox instead of the promotions tab in Gmail. You’ll stand out, and leave an impact on your audience instead of just being another email in their cluttered inbox. Email is the most personalized of digital marketing channels as people expect to receive specifics. Instead of flashing a users’ name on your homepage (which could freak them out), email is different. It’s understood that you have their information and you can highlight specifics such as an account number or purchase history. In fact, personalization in email is becoming more and more expected among consumers. For this reason, it’s increasingly important for companies to listen to their audience and properly segment their lists to deliver contextual messages. Have you ever gotten a “You might also like” recommendation that made absolutely no sense? This is due to improper segmentation. If you need an example of a company that uses these exceedingly well look at Amazon. Amazon collects and uses massive amounts of data to deliver hyper personalized marketing messages whether it’s on their website, app, or the inbox. Every time I get recommendations from them I know that it’s something that could either enhance what I’ve already purchased, or is aligned with my interests. To see the 3800% ROI many companies get from email marketing in 2018, you need to turn to your database and make it smart. Make lists based on engagement, past purchases, recent activity, and whatever else makes sense and automate your messages. Emailing to a list based on the criteria “email address is known” simply won’t work in 2018. While personalization is key to getting your recipients to look forward to receiving your emails, you can take it a step further and create emails like they’ve never seen before. Emails that allow your recipients to click and interact with your message within the inbox as if your message is a microsite can capture their attention and make your brand stand out. Unfortunately, not all email clients render the emails the same making it difficult for everyone to view these emails with the grandeur they have. Email clients such as Outlook have a long history of rendering email styles incorrectly, making interactive emails a long shot for those who use it. However, in 2017 Outlook and Litmus partnered in an attempt to fix this issue. Nothing has come of the partnership as of yet, but if rendering issues are aligned with where email marketing is headed, it could push interactive emails to the forefront of email creation. Interactive emails in 2018 will require extensive testing to make sure they render properly across email clients and devices. We’re looking forward to seeing how these emails push the boundaries in 2018 and push email marketing into new frontiers. As consumers increasingly turn towards digital channels to find the information they need, interactive content will become a central part of your 2018 digital marketing strategy as it will captivate your audience with an experience. Do you ever wish the email you were looking for was always at the top of your inbox so you didn’t have to sift through your entire inbox? Well, I don’t think this is too far off. With the increased use of artificial intelligence in marketing, a smarter inbox could be closer than we think. In fact, software is already out that analyzes your recipients’ behavior and optimizes the send time of your email to match when they’re most likely to be active in their inbox. The endless search for the perfect time to send a marketing email could be coming to an end (thank God!). Smarter inboxes coupled with relevant and timely email messages will allow you to show up at the top of your recipients’ inbox when they’re expecting your email, thus sending open and click rates through the roof. Email clients are also getting more akin on recognizing spam messages. This means, your mass blast newsletters will likely end up somewhere in the promotions tab unopened. Adapt your email marketing in 2018 to ensure you show up in your audience’s inbox when they’re expecting you to. In 2018, email marketing will continue to be at the center of business to consumer communications. 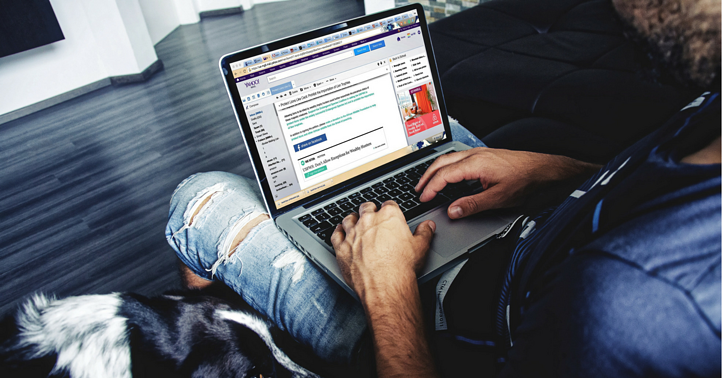 With the ability to send targeted and personalized messages, consumers expect emails that are relevant and contextual to the content they’ve previously engaged with. Adapting to an inbound email approach is one step of many in creatinga solid growth-driven marketing strategy. At THAT Agency, we’re excited to continue to push email marketing towards interactivity and increased personalization. 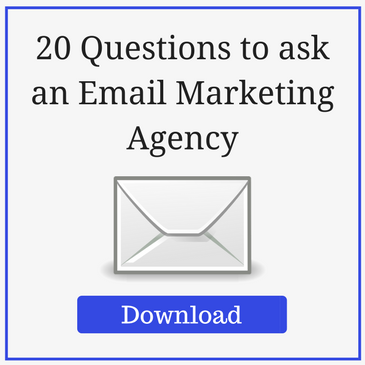 If you’re looking for an email marketing agency to revamp your email strategy, we’d love to sit down and hear about your goals.